I’m thinking that this post will be all over the place, so stay with me lol. I have so much catching up to do I don’t know where to begin. I shall begin with the topic of my post. My niece comes up to me and she says “Omg, you’re still doing that weight loss thing aren’t you?” . I, of course say something similar to “you mean, eating healthy and exercising? Well, yeah, I am.” She then pays me what I think was meant as a compliment, but I’m not completely sure. She says “Well, your wrists look so small”. Of all things, my wrists? 40 pounds off of my frame, and my wrists is what she chooses to compliment me on. All I could do was chuckle and thank her, and explained that the weight seems to choose wherever it wants to fall off. I left it at that. I guess I’ve been yearning for validation through others. We tend to do that some times. We can’t trust our own judgement sometimes, so we need that added assurance from those around us who love us. I’ll take it… my wrists… it’s a victory. 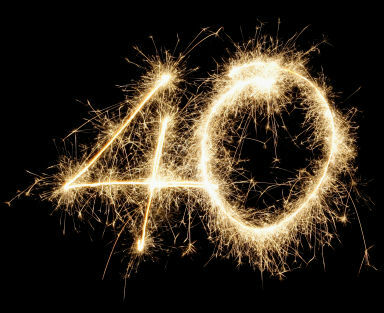 I’m sure you’ve figured it out — hopefully you didn’t think I was turning 40, since I’m only 28, but I finally broke that plateau last week and lost 10 pounds in the course of about 9 days. The weight literally just fell off… What did I do to drop the weight… hmmmm, I feel a list coming on. 1) I cut out diary. Completely. Didn’t expect this to make such a huge difference, but it did. I guess I was being naive around the effects diary has on the body, but this proves that we really shouldn’t be eating too much of the stuff. I’m cutting it out completely while I’m losing weight and I won’t add it back until I start maintenance (in moderation, and maybe not at all, depending on how I feel). 2) I stopped eating Salmon. I was utterly addicted to this stuff, and apparently with it being so high in fat, even healthy fat, I shouldn’t have been eating it as much as I was. So I’m cutting back. 4) Turkey is my secondary go-to meat. Again, I’m eating meat in moderation, in general, but when I do want to add pizzazz to my meals, I am opting for turkey. Turkey “Burgers” with lettuce wraps as the bun, are like my happy place. 5) I was adamant in one of my last posts about keeping Splenda a part of my diet. Well, I changed that and I cut it out completely. My plateau made me realize that I don’t care about holding on to those things that comforted me. I want to lose weight and I have to sacrifice somethings — right now it doesn’t feel like a sacrifice at all. 6) It’s weird because I’ve actually worked out less. Due to some major things happening at work, I’ve been working basically all day and before today, hadn’t had a day off in 2 weeks. I squeezed in 15-20 minutes of zumba whenever I could and only got to do 1 strength training session with my personal trainer. But the weight still fell off. 7) Meditation — oh how this has become a blessing in my life. I cherish this time with myself and it’s wonderful to just experience life through my own eyes which are usually blinding by the ins and outs of my daily hectic and stressful life. This has been truly amazing. I’m back, mostly. I have so much to share but not as much time as I wish I had to do so. I’ll be posting a bit more in the next few days!